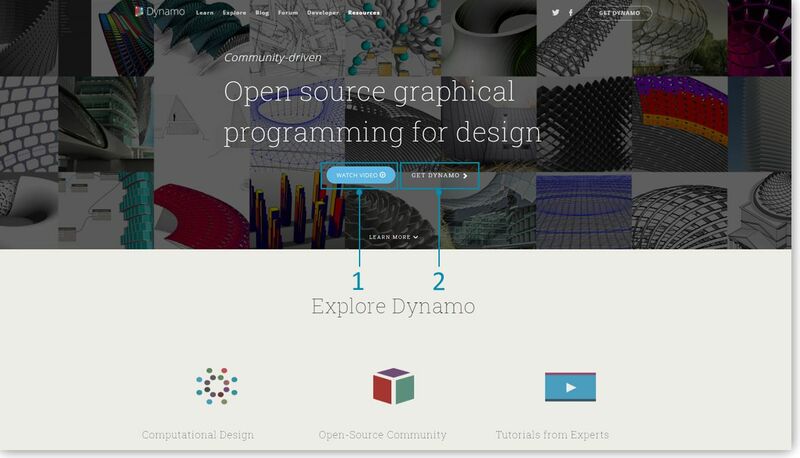 Dynamo is an active open-source development project with downloadable installers for both official and pre-release, i.e.. "daily build" versions. 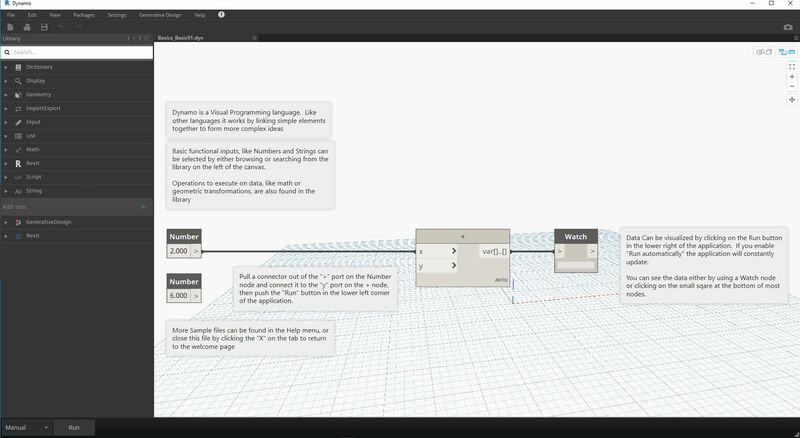 Download the official release to get started, or contribute to what Dynamo becomes through the daily builds or GitHub project. To download the official released version of Dynamo, visit the Dynamo website. Start the download immediately by clicking from the homepage or browse to the dedicated download page. Here you can download the "bleeding edge" development versions or go to the Dynamo Github project. Browse to the directory of the downloaded installer and run the executable file. During the installation process, the setup allows you to customize the components that will be installed. Here we need to decide if we want to include the components that connect Dynamo to other installed applications such as Revit. For more information on the Dynamo Platform, see Chapter 1.2. To launch Dynamo, browse to \Program Files\Dynamo\Dynamo Revit\x.y, then select DynamoSandbox.exe. This will open the stand-alone version and present Dynamo&apos;s Start Page. On this page, we see the standard menus and toolbar as well as a collection of shortcuts that allow us to access file functionality or access additional resources. 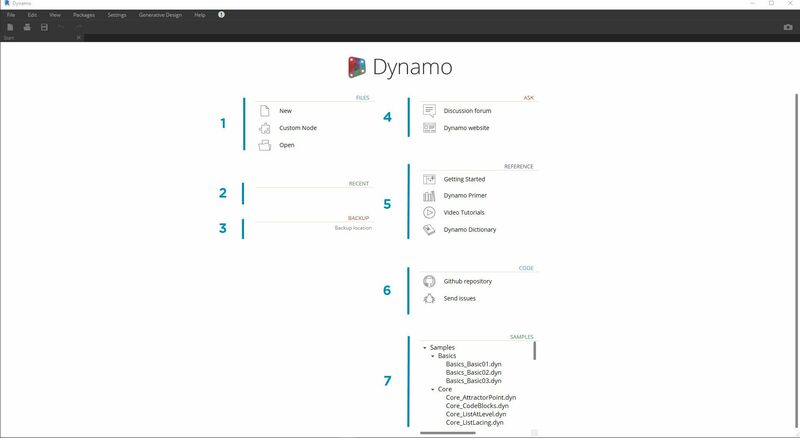 Open the first sample file to open your first workspace and confirm Dynamo is working correctly. Click Samples > Basics > Basics_Basic01.dyn. If this file successfully loads, you should be able to execute your first visual program with Dynamo.